Let’s see if NASA can keep the positive momentum going. 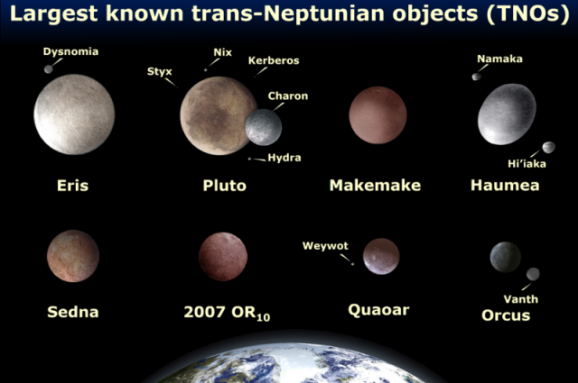 After last week’s successful test flight of the Orion spacecraft, NASA’s next project involves the far reaches of the solar system: the demoted dwarf planet Pluto. 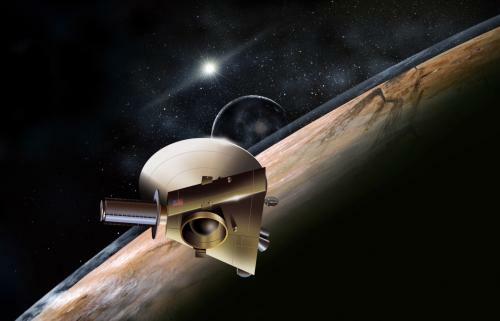 The New Horizons spacecraft has been in a half-awake state for most of its 8-year trip, and it’s been fully hibernating since August 29. Yesterday, it woke itself up at 3:00 pm EST (spacecraft like to sleep in, apparently), and sent a signal back to Earth indicating that it was up, getting dressed, and fixing a balanced breakfast. That signal took four and a half hours to reach Earth, even though it moved at the speed of light. 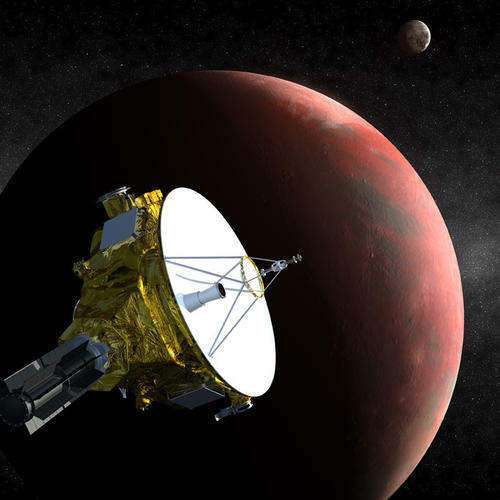 New Horizons is now nearly 3 billion miles away from Earth, and closing in on Pluto as it travels nearly a million miles a day. Pluto may not be an official planet anymore—revoking a celestial body’s planet hood still seems a bit harsh—but that doesn’t mean it’s not worth taking a closer look at, and that’s exactly where NASA’s New Horizon probe is headed. The craft is still a year or so away from arriving at its final destination, but it’s already sending back impressive footage and breaking existing records. 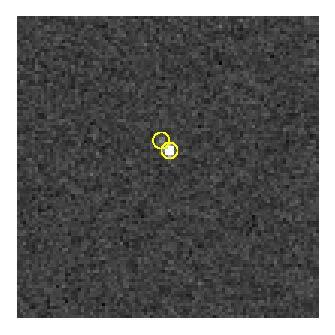 The craft isn’t scheduled to be close enough to close up shots of the dwarf planet and its largest moon Charon until July 14 of next year, but while it’s on the way, the team at NASA has pointed its telescope at the target and captured this film of the two bodies in orbit. Comprised of a dozen images taken from July 19 through July 24, this clip shows the moon revolve around the dwarf planet in a way we’ve never seen before. 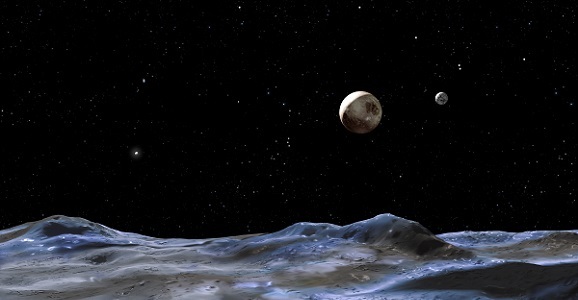 Some of you might have woken up on April 1 to find that Pluto had been reinstated as a planet. Of course, it wasn’t true — neither was the rumor that Richard Branson bought Pluto, thank the stars. But here’s some information about Pluto that appears to be totally legit: astronomers now think it has a subsurface ocean. 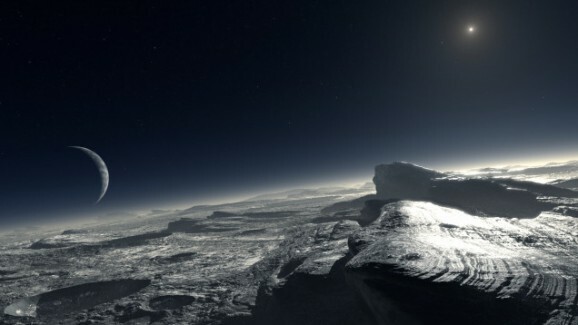 A new study proposes that, after a massive object smashed into Pluto, creating its moon Charon, the heat released by the collision warmed up a region in Pluto’s interior, creating an ocean that may still be there and may actually exist in liquid form. It seems crazy to think that a planet so far from the sun could have liquid water, but come on, it’s the Cosmos — strange and crazy are its bailiwick. Pluto may not be a full-fledged planet anymore, but that doesn’t mean we’re not interested in checking it out, even if it is quite a hike. It’s about 3 billion miles, one way, if you were wondering. NASA’s New Horizons spacecraft set off for the dwarf planet back in 2006, and now that it’s 2014 we can finally say that next year, we’ll have our first close-up glimpse of the gatekeeper to our Solar System. Last year, New Horizons’ telescopic camera LORRI (Long Range Reconnaissance Imager) got its first image of Charon, Pluton’s largest moon. You can see it just to the upper left of Pluto, which is the bright spot in the middle. But don’t worry, the images will get better as the craft gets closer. When this was taken, New Horizons was still 550 million miles away. In the mean time check out the first images of Charon from 1978 when it was first discovered. Back in February, the International Astronomical Union decided to flex its social media muscles by creating Pluto Rocks, which allowed the naming of Pluto’s two most recently discovered moons, previously called “P4” and “P5,” to fall into the hands of voters. And the people have spoken! Well, about 500,000 of us. Not exactly the number of voters that something like The Voice gets on a weekly basis, but it’s not bad for a science-sanctioned poll. That said, I bet more people would have voted had “Adam Levine” been a choice. Sigh. Voters had 12 names to choose from, all of which were related to Pluto’s mythological role as the Greek god of the underworld. Where they made their mistake was in allowing a write-in vote. Whereas contests in other areas may have yielded prank results, voters were very serious in following William Shatner’s beck and call to get Vulcan to win the vote. 170,000 people or so voted for it, making it a shoe-in, as three-headed demon dog Cerberus was in second-place with almost 100,000 votes. But in a movie that was very “wishy washy government style” for an international union, neither of those names actually made it.